Exuding understated elegance, this sophisticated gold-plated stainless steel bracelet watch by Accurist is styled with a tonneau mother of pearl dial with Roman markers. Perfect for every occasion. 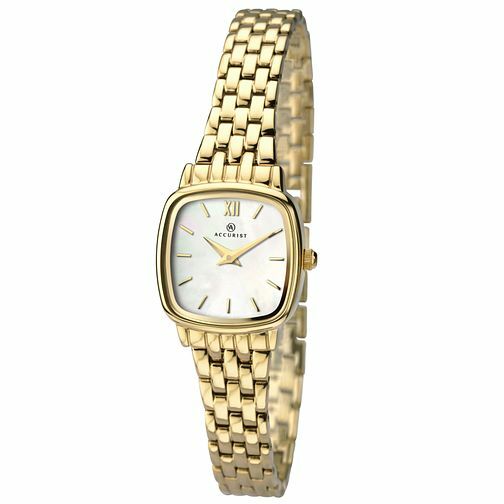 Accurist Ladies' Tonneau Dial Gold-Plated Bracelet Watch is rated 4.0 out of 5 by 1. Rated 4 out of 5 by Anonymous from A very pretty timepiece Bought this for my very elderly mother who can see the face easily and finds it light and attractive on her wrist.